(Wired) -- The new version of Windows, which is available Friday, sees Microsoft tucking the old, desktop-focused Windows skin into its back pocket, and instead donning a colorful, touch-friendly suit of tiles. It's such a grand departure from Redmond's legacy Windows software that most users won't recognize it as Windows at all. And that's a beautiful thing. The learning curve isn't too steep. The operating system is fun to use right out of the box, and it doesn't skimp on the key functionality you expect from the Windows brand. If you're buying a new computer this fall, or upgrading a recently purchased PC by installing Windows 8, you should expect something equal parts drastically new and comfortingly familiar. Microsoft has two key goals for Windows 8. First, the company wants to regain its cool. Windows has long been synonymous with a mundane experience centered on "productivity." While Apple offers a visually slick, intuitive, user-friendly experience on the desktop, Microsoft has stuck to the Windows Way. For over a decade, it's been serving scoops of vanilla to compete with Apple's waffle cones of mint chocolate chip with rainbow sprinkles. 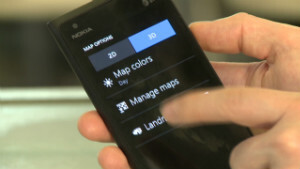 Nokia's new Windows phone a flop? This strategy has helped Microsoft maintain its stronghold on the PC market, especially among business customers reliant on legacy apps and the host of OEM partners who crank out the devices for their consumption. But Apple simply has more mojo. Walk into any college dorm, tech startup, or big-city coffee shop, and you'll see an ocean of MacBooks, all running OS X. Younger users and creative types favor Apple's computing environment. It's undeniable. The other thing Microsoft needs to do — desperately — is catch up in mobile computing. Its Windows Phone OS for smartphones is lagging, but it's expected to gain more traction as better devices and apps are released. The bigger worry here is tablets. As we move further into the "post-PC era," the iPad is still held up as the gold standard for mobile computing, and Android is the scrappy alternative. Windows 7 was a total bust on tablets. It just didn't translate well to the touchscreen world. 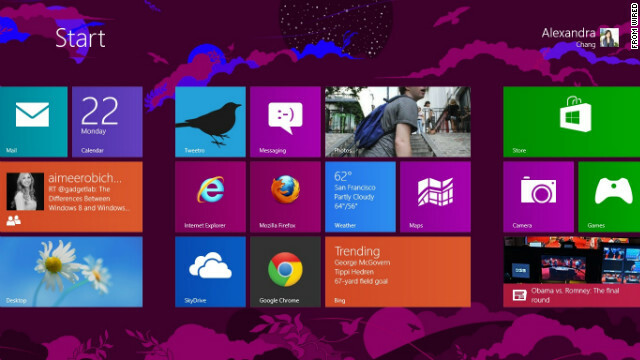 Redmond's plan for Windows 8, therefore, is to develop a fun and colorful OS that straddles the PC and the post-PC worlds. Windows 8 can run both on tablets and on traditional computers, it can be fully controlled with touches, swipes and gestures, and it still gives users full access to all the good old Microsoft stuff: docs, spreadsheets, and the myriad legacy apps they use every day. With Surface, it's even diving into tablet hardware to prove how well its dual-use approach can work. The ambiguity between x86, or desktop, applications and Windows Store apps can also add to the overall confusion. Windows 8 can run them both, but they'll open in different environments. Pin a desktop app to your Start Screen and it blends in nicely, as its tile looks no different than a Windows Store app. But tap it and — surprise! — you're thrown into the desktop space. Microsoft should consider a stronger visual cue to help us distinguish between the two kinds of programs. This juggling will cause some head-scratching among legacy Windows users when they upgrade. But the first few hours with Windows 8 will likely be more sweet than sour, as there are plenty of goodies: Live Tiles that show animations, a fully integrated search tool, and easy-to-adopt gestures for touchscreens and trackpads. These enhancements, and a host of other new features, are what make Windows 8 worth the upgrade. Annoyingly, this automatic type-to-search feature doesn't work in desktop mode, even if you have no windows open. It's in these tinier details where Windows 8 struggles the most. Another example: If you're using the desktop in Snap mode, all of your windows will shrink to accommodate the smaller, snapped app window — but once you expand back to full screen, none of the windows grow back to fill the screen. Also, if you sign in to Gmail using the bundled Mail app, it won't be aware of your most-used contacts unless you've entered them directly into the address book, or unless they also happen to be in your People hub. Those addresses should be recognizable based on all of the e-mails that the app has synced, but they're not. Just like any new software release, there are many little annoyances — things that you'd expect to work one way, but don't. If these bumps sound minor to you, then yes, upgrade to Windows 8. Overall, I'd say it's worth the effort of learning your way around the various quirks and wrinkles just to experience this entirely new way of interacting with a Windows machine. The touchscreen actions are a huge gain for usability, and the interface is gorgeous. I wouldn't go back to Windows 7 after using Windows 8; I'd miss the touch controls too much. I even caught myself trying to touch my MacBook Air's screen last night. Pros: Touch and trackpad gestures are intuitive and make navigating the Windows 8 environment a breeze. Snapping apps is useful for multitasking. Desktop gets its own improved tools like Task Manager and File History. Windows 8 is pushing touch and all sorts of new hardware experiences, which is good for consumers. Good price for online upgrades. Cons: Windows Store is still relatively low on apps. Ambiguity between x86 and Windows Store apps in Microsoft messaging and when pinned on Start Screen. Windows 8 will take effort to get used to, and not all users want to learn a new operating system and interface. Microsoft risks alienating legacy users. Several feature details still need polish.